No Hardware. Push your calls to one, or many cell phone numbers. Extension. Give extensions to all your employees, or simply split them up in departments, the choice is yours. Auto Attendants. Your digital interactive voice recorder can point your callers to the right extension every time. Faxes. Receive your faxes straight to your email, check them on the go, or print them at your leisure. 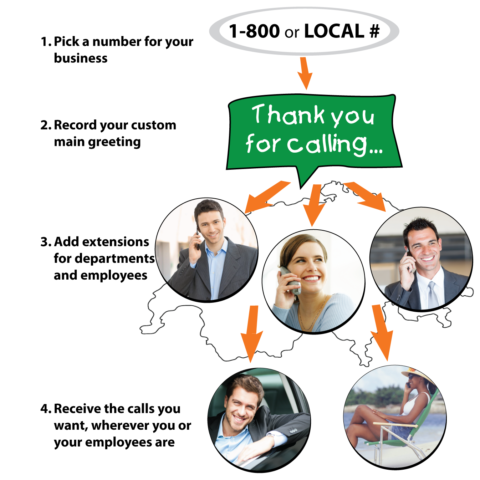 Receive the calls you want, wherever you or your employees are.